Pocket size case has built in mirror. Make up won't dry, crack or come off with rain or perspiration. 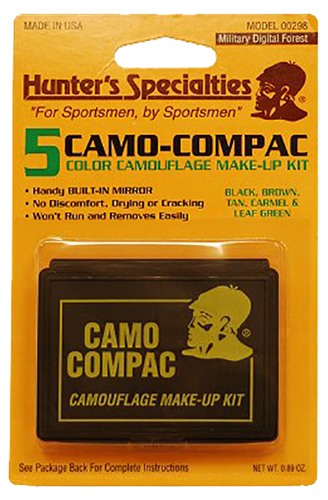 Removes easily with Camo-Off or soap and water.